While the right-wing Danish People's Party vigorously celebrated the decision, it was also reported that the island off Copenhagen's coast will first have to the cleared of swine fever and other dangerous diseases before the new inhabitants are sent there. Criminal immigrants whom Denmark is unable to expel from the country will be placed on a deserted island in Stege Bay south of the Danish capital, the tabloid newspaper BT reported. The decision came after budget negotiations with the right-wing Danish People's Party, who wholeheartedly welcomed the message. According to Danish Finance Minister Kristian Jensen of the liberal-conservative Venstre party, criminal foreigners slated to be expelled from Denmark will in the future be placed on the uninhabited island of Lindholm, located in the south-eastern part of the country, about 80 kilometres south of Copenhagen, where staff from the Prison and Probation Service also will be stationed. Among others, the decision will apply to rejected asylum seekers who have a criminal record and 'foreign fighters' (returning jihadists). "This won't be prison though. There'll be ferries commuting to and fro", Kristian Jensen told BT, stressing that the ferry will have a fixed schedule and that the inmates will have to return to the centre before nightfall. "In this way, we'll have more control over where they are," he added. 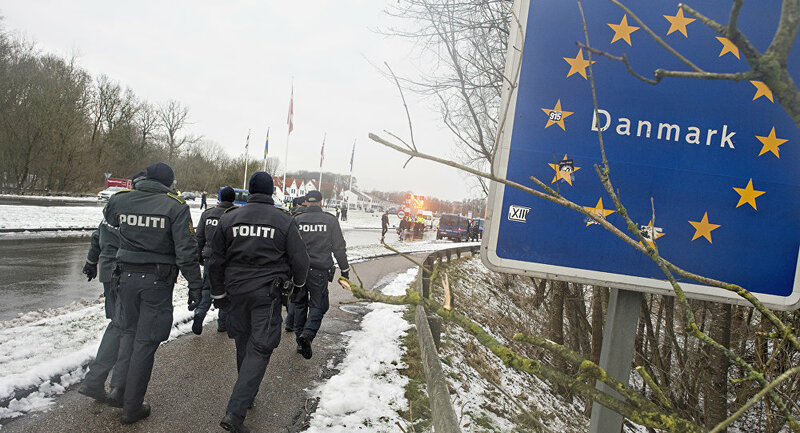 Previously, the criminal immigrants created many problems at the detention centre Kærshovedgård in the town of Bording, including violence, shoplifting and drug-related offences. Bording Deputy Mayor Simon Vanggaard of the Danish People's Party wanted to shut the centre down entirely. Shipping them off, however, is another option he is more than willing to accept. "Evicted criminal aliens have nothing to do in Denmark. Until we can get rid of them, we will move them to the island of Lindholm in Stege Bay, where they will be obliged to stay at the new centre at night. And there will be police around the clock. Take this!" the Danish People's Party tweeted, posting an animated video of an apparently Muslim man being shipped on a deserted island with seagulls screaming in the background. — Dansk Folkeparti (@DanskDf1995) 30 ноября 2018 г. ​"Hurray! Agreement between the Danish People's Party and the government: Criminals scheduled for deportation to be sent to the desert island of Lindholm in Stege Bay," an elated Danish People's Party deputy leader Søren Espersen tweeted. Hurra! Aftale mellem Dansk Folkeparti og Regeringen: Kriminelle udviste bliver sendt til den øde ø, Lindholm i Stege Bugt…! — Søren Espersen (@espersendf) 30 ноября 2018 г. ​Before 2021, when the first residents will be transferred to the detention centre on Lindholm, the island is in for a thorough cleaning and decontamination of both buildings and gear. For over 90 years, the island has served as a laboratory for infectious diseases such as foot and mouth disease, rabies and African swine fever. While not dangerous to humans, each of these diseases may mean a death sentence for Danish agriculture, Danish Radio reported. At present, farm animals suspected of carrying infectious diseases are being express-tested on Lindholm, and experts will be able to provide reliable answers within a few hours. After 2019, however, the mission is expected to be taken over by the State Serum Institute and the University of Copenhagen.